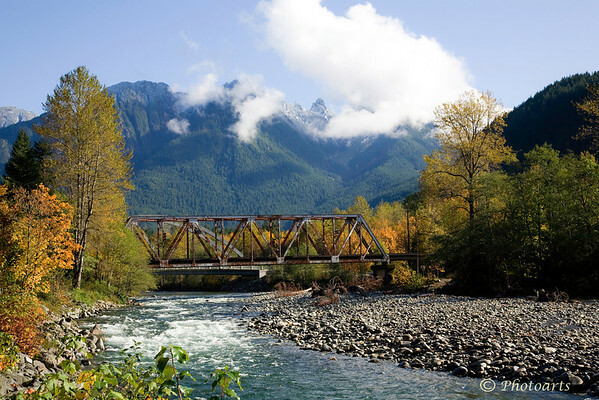 Early fall in the town of Index, Washington, where the north fork of Skykomish river flows under the classic 5th St. bridge. Excellent landscape capture! The bridge and low cloud add so nicely to this autumn scene! Nicely done! The clouds over the mountains are very pretty and the rust on the bridge gives nice accents. Pretty place. I'd love to go hiking there.